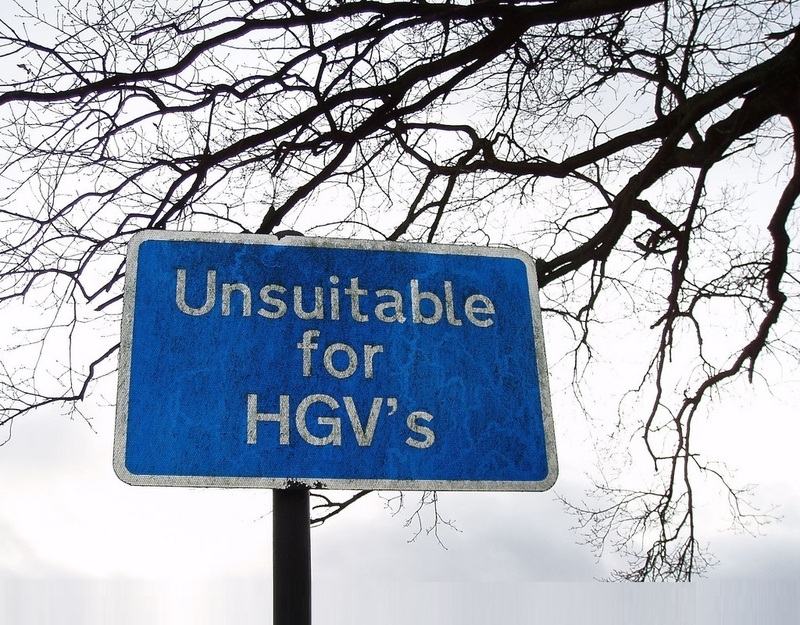 “We have been tirelessly tramping the streets gathering signatures for the petition asking Highways to divert HGVs from the A361, with over 6000 people now having signed (combining paper and on-line petitions). “However, recognising that there is as yet no obvious magic bullet to the question ‘Where do the HGVs go?’, we have looked at this with a variety of tactics. “In the summer I approached the full gamut of local and national road action groups and we now have the support of a number of these bodies to help us achieve a 20mph zone throughout the town, which will at least improve safety and noise levels. “The next step will be to conduct a community-wide survey to garner support. The success of this venture depends very much on vocal and visible support, so please do sign all the various petitions, paper copies of the ‘Divert HGVs’ petition may be found at a number of locations around town, including Earthfare (the health food shop), the Red Brick Building, and outside no.69 Bere Lane. Alternatively, you can sign the on-line Change.org version HERE. “Local press and media continue to champion our cause with regular coverage, and in September our MP finally came to see the A361 route through Glastonbury in person. However, not much sympathy there, with vague promises of a new north-south road development across Somerset in the distant future, dependent upon economic need, and suggestions of a bypass paid for by sacrificing currently protected countryside around the Tor to housing estates. In other words, the usual message that ‘no money is available’. “In November we handed to our County Councillor an A361 residents’ petition to install a Zebra-crossing in Chilkwell Street to provide pedestrians from the Drapers’ carpark and residents with a safe crossing point; we are yet to receive any concrete response from County. “Residents and campaigners are presently continuing with their own vehicle counts in order to challenge County Highways’ figures. Times and locations for such surveys are crucial, since vehicle numbers, data around pollution and noise and accident reports seem to be out of kilter with the lived experience of pedestrians, residents, and other road users. “In the New Year we will be presenting a further petition to the town to demonstrate support for a 20mph zone throughout the residential areas of Glastonbury including the A361 through town.